Past, Present and Future is a (mostly) fortnightly series of posts in which a very special guest comes time travelling with me. The idea is surprisingly simple – every second Monday, I ask someone bookish to spill the beans on the book they’ve just read, what they’re reading right now and what they’re planning to read next. 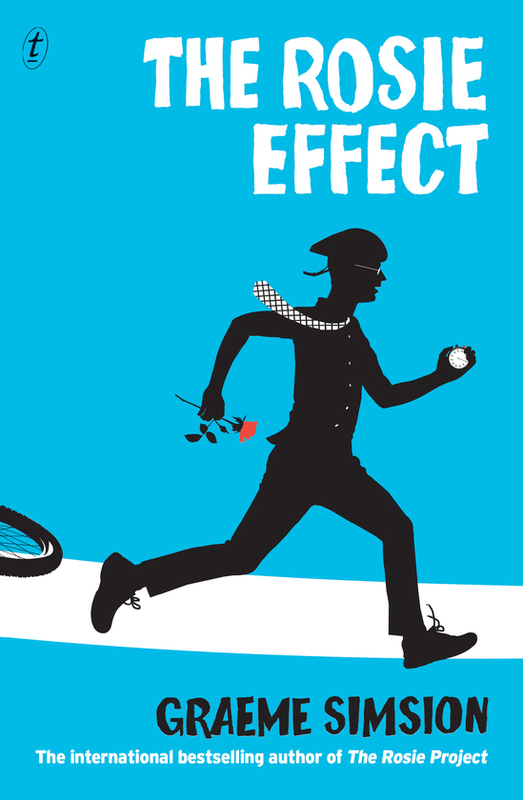 This fortnight’s guest is none other than Graeme Simsion, author of the wildly successful (not to mention incredibly enjoyable) smash hit The Rosie Project, and its much-anticipated sequel, The Rosie Effect – which I just so happen to be reading right now! When I took a comedy class with Doug Anthony All Stars legend Tim Ferguson a few years ago, he warned us, ‘You may never laugh again.’ There is a general truth here: once you know how the trick is done, it loses its power. And artists look at others’ work with a professional eye. Reading has not been the same for me since I became a novelist and, and, particularly, an editor of my own and others’ work. I’m constantly examining the craft. What techniques is Ms Tartt using to hold my attention? Why the sudden change of point of view, Mr Larssen? Are all those colons and semicolons a deliberate stylistic choice, Ms Mantel? For relaxation, as distinct from education, I’m more inclined to pick up non-fiction, or fiction that’s a long way from what I’m trying to write myself. My kids gave me a copy of The Annotated Alice (Alice in Wonderland and Through the Looking Glass with notes by mathematician Martin Gardner) for my birthday, and it filled both criteria. The cover of my edition has a bet each way: “One of the best twists in years – Stylist magazine” and “Shortlisted for The Man Book er Prize 2014”. Maybe that confused positioning is why it has apparently disappointed many readers, who have given it a rating of 3.5 stars on the Australian Amazon site. Perhaps they were expecting a thriller (which it isn’t) or a more literary style of writing. But it’s a five star book as far as I’m concerned. 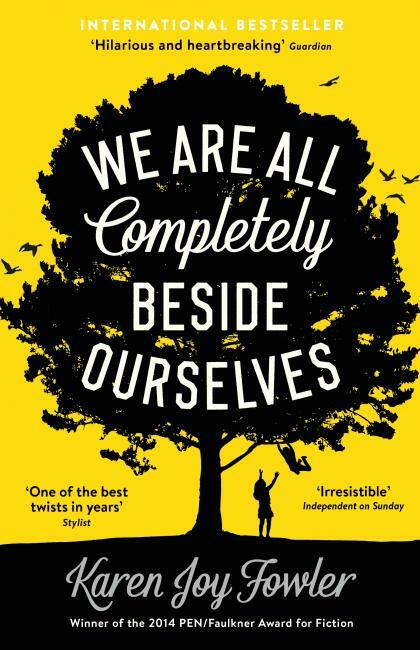 Effortless, clean writing, a distinct and sassy voice (it’s in first person) and a highly original premise that provides a base for an emotional journey, reflections on the human condition and liberal doses of comedy. A family makes a big, and in hindsight, disastrous, decision and does its best to manage the consequences. It was a situation I was familiar with from non-fiction. Beside Ourselves brings a different –and arguably more pertinent—perspective. I can’t write much more about the plot without revealing the twist (many of the reviews contain the relevant spoiler, so read them later). That said, I had been made aware of it before I started reading, and, beyond missing out on one ‘whoa’ moment in many hours of reading, I didn’t feel my reading experience was compromised. Of all the books I’ve read this year, it’s the one I’d most like to have written. Twists… They’re a vital part of plots in certain genres, but a big twist does not a story make, at least not for me, and the author needs to be careful not to break faith with the reader by being seen to withhold information that should have come out in the normal course of narration. Beside Ourselves’ twist breaks this rule – in spades – but it happens early and we are given a good reason for the deception. I bought it, but not everyone will. The outstanding “twist-based” success of recent years has been Gillian Flynn’s Gone Girl, and, again, the twist has pulled attention from what a good thriller – and intelligent study of narcissism – this book actually is. In fact, I’d argue that the mid-way twist denies us the possibility of empathising with the Amy character, and that the book is weaker for it. I’d have killed that darling – but it’s hard to argue with that grip it’s got on the number one spot on the New York Times bestseller list. I can’t write as much – or as reflectively – about what I’m reading now. It takes time to absorb a book, and sometimes years to understand its impact. I read Albert Camus’ The Plague when I was fifteen, and still reflect on it. But when I was briefly addicted to Robert Ludlum thrillers, I’d have been hard pressed to recall the plots a week later. I’m a parallel processor. The stack of books beside my bed is embarrassing (in height, not content). 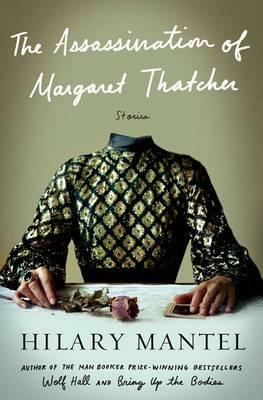 I’m dipping into Hilary Mantel’s The Assassination of Margaret Thatcher but tonight I’ll resume reading How Plays Work by David Edgar. It’s one of several ‘craft’ books beside the bed, including two on comedy writing and one on screenplay. I’ve always been interested in the theory, the foundations of what I’m doing. That’s not to dismiss the value of intuition or the unexplained moment of inspiration but I want to save my limited creative resources for when they’re needed. The more I can do consciously, purposefully and in a way I can understand myself, the better. And it gives me a language to discuss what I’m doing, and to coach others. Next on my list is a manuscript I’ve been asked to read. In the last year I’ve done this for my partner (Anne Buist) and a member of my writers’ group (Tania Chandler). Their novels, respectively Medea’s Curse (Text) and Grunge (Scribe) will be published next year. Reviewing manuscripts constructively is a big job, and I only do it for people I know well (or owe a favour!). I suspect this sort of work is what’s made me such a picky reader, but, truth to tell, it’s good for my own writing. 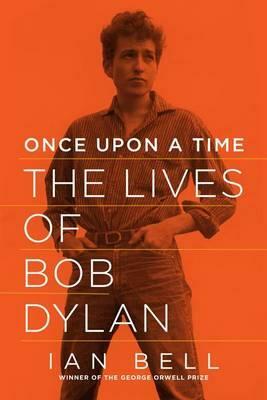 After that, I’ll probably pick up Ian Bell’s two-volume Lives of Bob Dylan. I’m a Dylan aficionado (falling short of Dylan tragic, I hope), and recently selected his album “Live 1966: The ‘Albert Hall’ Concert” as a favourite work of art to discuss on Radio National’s Masterpiece programme. As a baby boomer, it’s hardly original to have Dylan as my creative hero, but he provides a model for reinvention and for continuing to do fine work as he ages (I’m talking about the song-writing and recordings – I won’t argue about the concerts!). And every time I prepare to do another bookshop talk, I remind myself that he’s getting up on stage every night at 72. Thanks for stopping by to take part in Past, Present and Future, Graeme! My name is Michelle, and it’s been…nearly one and a half months since I last posted a book review. Oh, the shame. Things are hectic here lately. I was beginning to wonder if it was just me. It seems everyone else I know is run off their feet too. If you’ve got a moment to spare, why not settle down with a few of my lovely literary links? I’ve got some good ones for you this time around! But because we’re all busy, busy people, I’ll try to keep it short. Everyone knows the names Augustus Gloop, Violet Beauregarde, Veruca Salt, Mike Teavee and Charlie Bucket…but chances are, you’ve never heard of Miranda Mary Piker. Here’s a bit of literary trivia for you: Roald Dahl’s classic Charlie and the Chocolate Factory nearly starred six child characters! In fact, Dahl originally envisaged as many as ten children entering Willy Wonka’s chocolate factory. 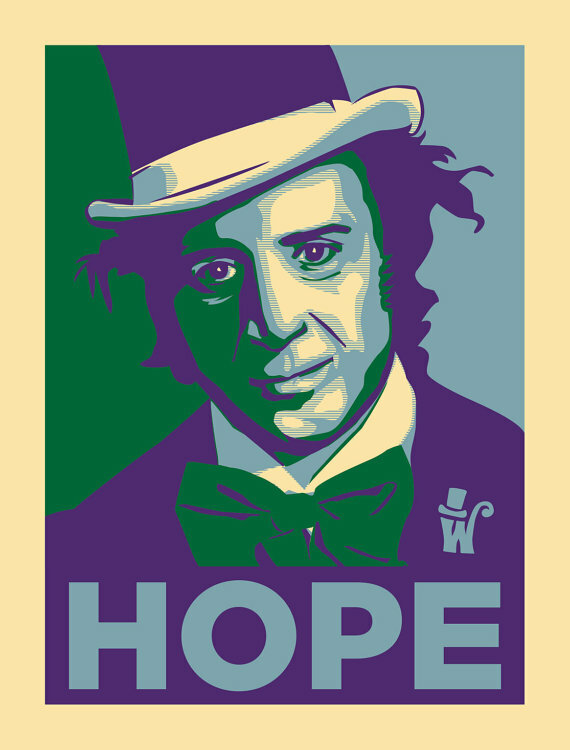 Who would have guessed there’d be so much cool Charlie and the Chocolate Factory stuff on Etsy!? This is from goodnessclothing. There’s a new literary meme on the block, and it’s brilliant. Six Degrees of Separation is the brainchild of authors Annabel Smith and Emma Chapman. It encourages avid readers to form a link between six books – not to Kevin Bacon, but to any element that they might share in common. 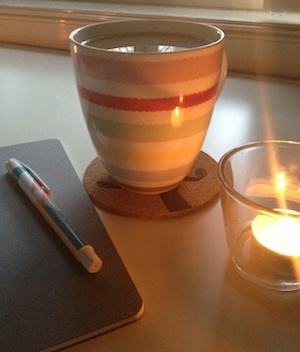 I love this idea – I’m trying to find the time to sit down and write my own post! A Canadian dentist who bought a wisdom tooth reportedly belonging to John Lennon two years ago is planning to clone Lennon and raise the clone as his own son. 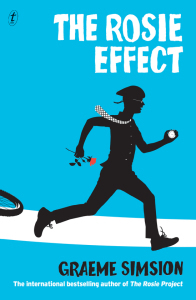 Great news for everyone who loved Graeme Simsion’s The Rosie Project. 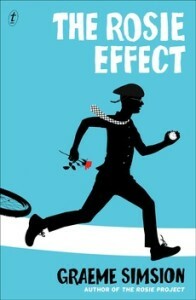 Sequel, The Rosie Effect will be out later this year. You can find out more at Text Publishing’s website. I have a fascination with the way books are presented and marketed around the world, and found this piece on Waterstones’ blog about the many different faces (and titles!) of The Rosie Project around the world really interesting. I’ve read and reread this article by Allison Gibson about the stories she craved during her pregnancy a few times now. It’s clever and moving – and funny. I had always imagined that, as a pregnant woman, I would adopt a sort of Earth Mother persona: confident, innately nurturing, glowing from the inside out. It turned out that, in reality, I handled pregnancy with all the grace of George Costanza at a cocktail party. When I consider the events of my own life, I find my memories have become irrevocably tangled with whatever book I happened to be reading at the time. And it works the other way around, too. Rereading a book will often bring back vivid memories of the last time I read that book. And yes, book cravings: you don’t need to be pregnant to feel their pangs. I often find myself longing to read particular books – especially in times – times such as right now, for instance – when I have far too much to do to just abandon it all and spend all day with a book of my choosing. So it turns out Stevie Nicks is a huge fan of HBO’s Game of Thrones. She’s written poetry about her favourite characters and wants to write music for the show. Go Stevie! Stevie’s not the only one writing Game of Thrones poetry. Make sure you take a look Leah Umansky’s Game of Thrones poem, Khaleesi Says. One more Game of Thrones link – in America, more parents are naming their newborns “Khaleesi” than they are “Nadine” or “Betsy“. There are shortlists and longlists all over the place right now. I can’t keep up. The Stella Prize. The Kibbles and Dobbies. The Miles Franklin. The NSW Premier’s Literary Awards. I’m sure there are a few I’m forgetting. 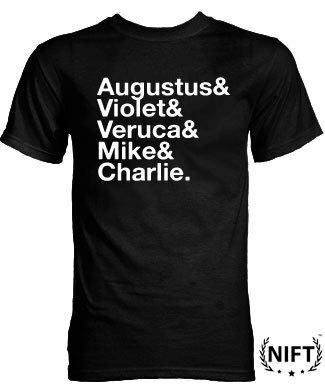 It’s a literary lollapalooza. Lisa from ANZLitLovers has fantastic coverage of all these awards (and more), as well as reviews of nearly every nominated book. That’s it for this instalment of Book to the Future Bookmarks. If anyone needs me, I’ll be writing like a maniac. Fingers crossed, I’ll have new reviews online very soon. Okay. Look. Yes, I know I said in my previous post that I wasn’t going to do this…but I couldn’t help myself. I might not have read or written much this year – but that doesn’t alter the fact that some great books came my way in 2013. So, with nothing to do on New Year’s Eve other than ordering takeaway and watching Sherlock on DVD, I thought I’d put together a last-minute post and ramble a little about five of my favourite books for the year. Grab a seat! This book. It’s a bad influence. It made me want to run to the ocean and throw myself into the waves; feel the squelch of sand between my toes and take sanctuary from the biting cold of the wind in the warm, salty water – but all that would have meant I’d have had to stop reading Sea Hearts. And there was absolutely no chance of that happening. I wasn’t putting this book down for anyone. 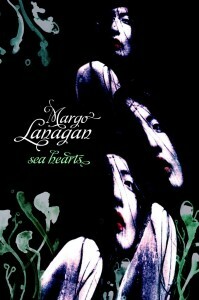 Sea Hearts enchanted me completely. And I’m not the only one. Take a look at this year’s Meanjin Tournament of Books! Completely irresistible. From the first sentence to the last, I was utterly hooked. Reading this book is the literary equivalent of stuffing your face with chocolate mud cake. It’s dense and lavish and delicious. But at the same time, there’s a rawness about Remarkable Things that will catch you unaware; it will overwhelm you. It’s sad and sweet and almost impossibly intricate. It burns with an intensity that hurts – but in the best possible way. Yes, The Rosie Project. I know – it was everywhere this year. You know what? This book is everywhere because it’s actually really good. Popularity isn’t necessarily a bad thing. 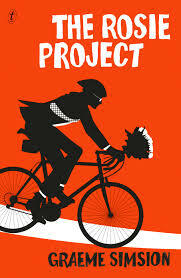 The Rosie Project is simply delightful. You’d have to have a heart of stone not to love Don. From a book that was everywhere, to a book that’s slipped by with little fanfare (as Elizabeth Lhuede has already pointed out). Which is a shame, because it’s such a tense, thrilling read. And that ending! I still haven’t recovered. My first New Year’s Resolution is to review this book. I will I will I will. 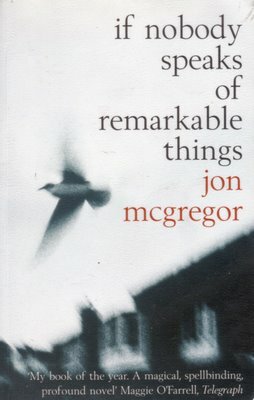 But the thing with writing reviews is that sometimes, the books you desperately want to tell the world about aren’t always the books that are easy to write about, for whatever reason. I was nothing like Krauth’s Layla when I was fourteen. I read lots of books – usually ones about dragons and wizards and spent most of my time listening to unbelievably awful pop music. I was still a child. Layla and I have nothing in common. But still, there’s a connection. Or is it just that I’ve become one of those sad thirty-somethings who thinks they still have what it takes to get Kids These Days? Who knows. After reading just_a_girl, I’m unable to forget Layla. She’s left a piece of herself behind. I commute from Western Sydney to the city every day and I see echoes of her. 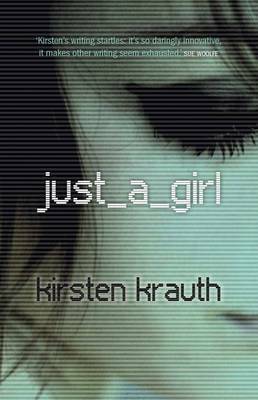 The closing image of just_a_girl left me with a chill that’s settled into my bones. I find myself wondering about Layla all the time – and wishing her a little warmth. Honourable mentions? Don’t mind if I do! I loved all the short story collections I’ve read this year. 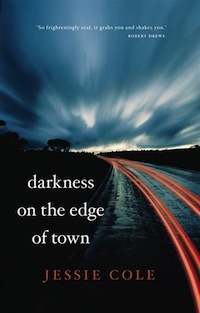 Ryan O’Neill’s Weight of a Human Heart, Cate Kennedy’s Like a House on Fire, White Light by Mark O’Flynn (reviewed here!) – all brilliant. Another exciting collection of short stories – The Great Unknown – is next on my reading list, and I’m really looking forward to getting into it. In fact, my To Read pile is getting seriously out of control. I’d better get on to that tomorrow. That’s it for me for this year. Another year of literary adventure beckons. Happy new year – and even happier reading!